This commission is comprised of the design and development of a 30,000 sq. 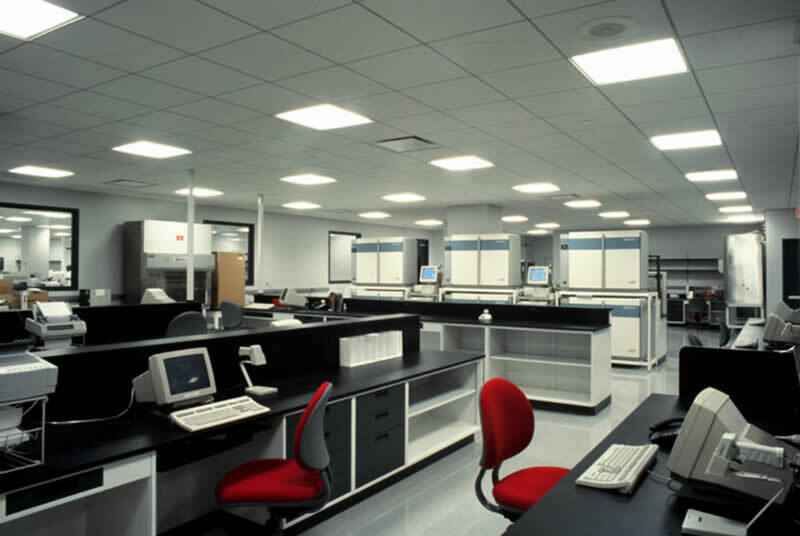 ft. regional central laboratory analyzing and servicing all routine diagnostic laboratory work for the eight hospitals of the North Shore and Long Island Jewish Health System. 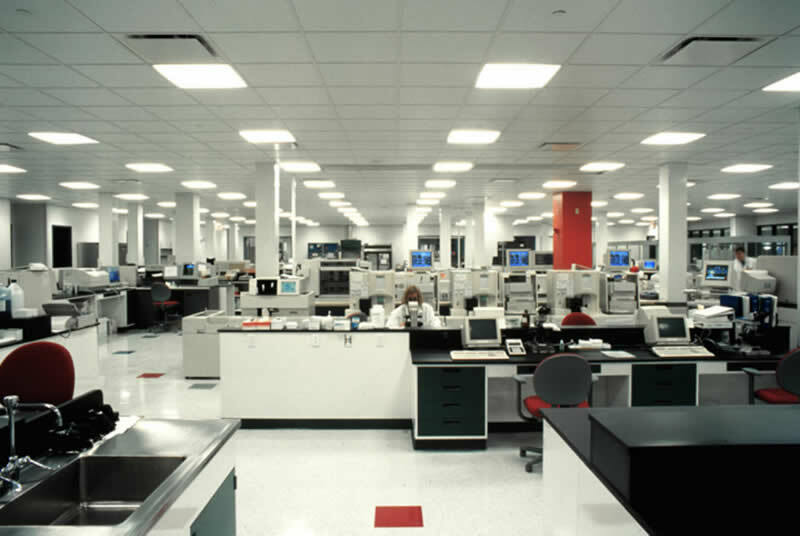 The Central Laboratory processes over 32,000 sample specimens a day and is one of the largest automated laboratories in the United States. 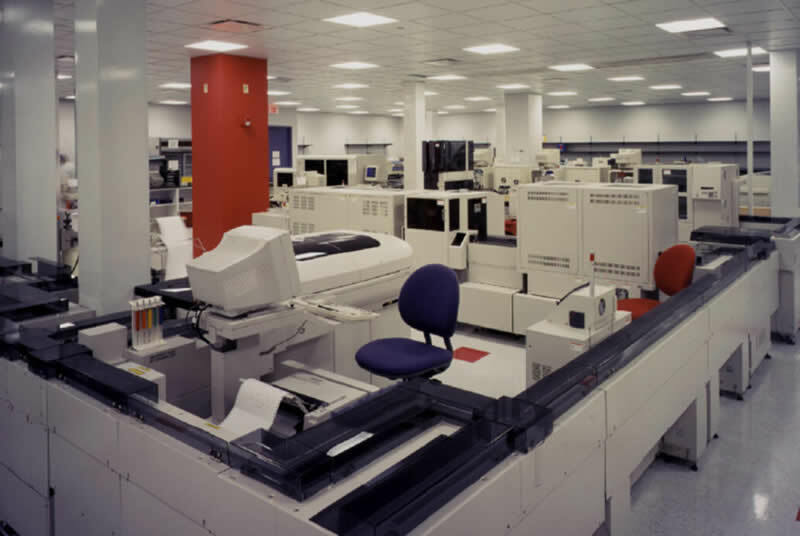 The large robotics section of the laboratory provides rapid results for a wide range of standard diagnostic tests, due to the open "architecture" in the design of the equipment. This equipment includes a reciprocating carousel system for the storage of specimen samples, reagents and temperature control spaces. Diagnostic results that require further in-depth analysis are also studied in a series of fully equipped labs within the space encompassing microbiology, phlebotomy, molecular biology, toxicology, hematology, and other diagnostic tools.